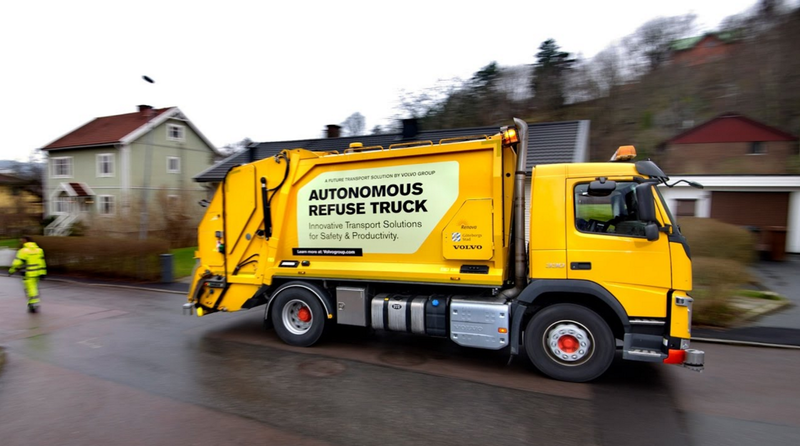 Volvo Truck is currently busy testing out its self-driving vehicle efforts by the newly released autonomous garbage truck. The Swedish car manufacturer has partnered with Renova, a local waste and garbage specialists, to complete this project. According to Volvo, the firm wants to explore the capability of their automated car and how it "can contribute to enhanced traffic safety, improved working conditions, and lower environmental impact." As per the other automotive companies, Volvo has earlier announced a number of actions and initiatives in the self-driving car field. According to Venture Beat, these plans include a $300 million joint venture with other car service providers such as Uber to construct autonomous cars. Aside from that, the company also claimed that they are investing in a driver-assistance system for each of its current models. Volvo’s chief technology officer, Lars Stenqvist, noted that there is a really great potential to transform the swift pace of technical improvements in automation into practical benefits for consumers, as well as the whole society. “Our self-driving refuse truck is leading the way in this field globally," he added. One of the many exciting autonomous innovations that Volvo is now working on is for it to become a top notch in its field. How Does The Autonomous Garbage Truck Work? The new garbage truck is similar to a design Volvo has offered with the autonomous mining vehicles. As reported by New Atlas, it uses very similar technology and the only difference is that the trucks are programmed for urban use. First, the truck is manually driven through the garbage collection path as it maps and registers the way, as well its various stops. The following visits will then be driven solely by the truck itself, which continuously senses its surroundings in order to react to possible changes. With the truck's automated runs, the driver can take the garbage truck to its first stop, then activate the self-driving system, and finally get out of the cab. From there, the driver can walk around the truck if needed, specifically when pushing bins or returning them to the sidewalks. Aside from that, the truck reverses itself through the recorded route and the driver/operator has no need to continually climb and ride the truck. There is a certain button that when pressed, the autonomous garbage collector will do the command.